As an overall memoir-junkie and the author of a travel memoir myself, I love to read about other people’s travel experiences—I’ve been obsessed with them since I read Eat, Pray, Love as a college student. But my favourite travel memoir of all time is a book by first-time author Lauren Juliff called How Not to Travel the World: Adventures of a Disaster-Prone Backpacker. What makes her book so different from others within in the same genre is the candid way that she describes not only the places she has been (FYI: solo travel isn’t all bubblegum and roses) but also her inner thoughts. In her early twenties, Lauren Juliff had already spent most of life battling an anxiety disorder that was so overwhelming, it forced her to live an exceptionally sheltered life. Always fearing the worst, she was even afraid to eat, just in case she was allergic to something she had never tried before. And while most twenty-somethings are inexperienced, Lauren had never even tasted rice or been on a bus trip. But she was done letting her mental illness run her life. Once Lauren finished her studies, she decided to forgo the bus and hop straight on a plane, beginning her life of international travel while she blogged about pristine beaches and near-death experiences. Her description of brutal anxiety, contrasted against her descriptions of breathtaking scenery and interactions with those she met along the way made the book an emotional read interspersed with hilarity. Here’s what she had to say when I asked her about dealing with anxiety on the road, future travel plans, book marketing, and the challenges of blogging vs. book writing. When you first began your travels, you struggled with extreme anxiety. By the time you returned home, your family remarked at how much more relaxed and positive you seemed. I have also battled anxiety and know how challenging it can be. Did you use any techniques to cope with anxiety attacks while you were on the road, or did they diminish naturally as you encountered one dangerous situation after another? I’m lucky to have not needed to use any techniques to combat my anxiety, as it faded away as soon as I started travelling. I stepped on the plane with my ticket in hand and didn’t really have a panic attack for the next several years. When you consider that I was dealing with anxiety and having panic attacks at least once a week before I left, it’s miraculous that travel provided an immediate cure. I’ve thought about this extensively to figure out why, exactly, this was the case, and my conclusion is that it’s all about leaving your comfort zone. I had little life experience when I first started travelling, so very minor things (like taking a bus) terrified me. From day one, I was challenging myself and doing the things I’d usually avoid, and most importantly of all, I was surviving them. From the moment my travels began, I was continuously proving to myself that everything I used to be anxious about wasn’t anything like a big deal. On your travel website, you mention that you can’t even remember your last panic attack. Is there anything that you do nowadays to maintain your health and keep your anxiety at bay? There are several things I now do. I must confess here, though, that I have been struggling with my anxiety disorder for much of the past year. I found the writing process of my book to be tremendously stressful, due to tight deadlines (I had six months to write the manuscript and one month to edit it), and unfortunately, it didn’t do great things for my mental health. I began to have panic attacks once more. This happened while I was travelling, so I couldn’t rely on that to provide a cure like I had before. Instead, I had to take a look at my lifestyle and make several changes to improve my mental health. One thing that helped turn my life around was an elimination diet called the Whole 30, which reduced my daily panic attacks to zero. I now try to avoid gluten, dairy, and sugar, as I can link all three of these to the levels of anxiety I’m experiencing. Additionally, a morning meditation session always helps get my mornings off to a calm start, and regular exercise never fails to improve my mood. When you started your life as an international traveller, you were so sheltered that you had never before eaten rice or taken a bus (let alone boarded a plane or tried ethnic foods)! Your first stop was Croatia. What made you decide to dive right into Eastern Europe instead of starting closer to home in Britain? I made the decision to start my trip in Europe because it was familiar, but still offered a challenge. I’d already spent family holidays in many countries in Western Europe and so that part of the world didn’t feel new or exciting anymore. Eastern Europe was a region I had yet to explore, and one that sounded intimidating while still being close enough to home that I felt comfortable travelling there. I spotted a cheap flight to Dubrovnik and booked it immediately. In your book you admitted that before you started travelling, you thought your ex-boyfriend was crazy for suggesting that you go to India, where you could get run over by a cow or catch dysentery. I laughed when I read that, but those scenarios are not beyond the realm of possibility. I have an ambivalent attitude toward the country because although it holds sentimental value for me, it’s very chaotic, and it’s a land where the laws of the universe cease to apply (not very conducive to healing anxiety). Even so, by the time I finished your book, I noticed your comfort zone widening considerably. So, have you been to India yet? I haven’t been yet, but I am planning on finally visiting next year. I’ve planned (and even booked) several trips to India over the past few years, but something always came up (like a complicated, time-consuming, and expensive visa process) at the last minute to make me cancel it. That scammer was a real piece of work and to be honest, I was glad that you punched her. Do you want to give China a do-over? And if so, when? I definitely do! China was my first experience of Asia and I was so out of my depth that I spent my time in the country freaking out about everything that was different. Now that I’ve been travelling for five years, I’d like to explore the country with a different mindset. I’m not sure when I’ll get there, as I’m based in Portugal these days, and focusing on visiting the remaining countries I have left to see in Europe, as well as exploring more of Africa. I’m sure I’ll return within the next two or three years, though! Were there any challenges that you faced writing a book when you were so used to blog writing, and if so how did you surmount them? Making that transition was one of the biggest challenges I had to overcome. My degree is in physics, and at school, I always opted for mathematical courses over anything even remotely creative. My only experience with creative writing and storytelling, then, was through running my blog for three years. When I got my publishing deal, I had no idea how to develop characters or build a plotline, or even how describe what a place looked like! I was so used to writing a travel blog where, if I wanted to talk about how beautiful somewhere was, I’d just post a photo of it. I mentioned the tight deadline I had for writing my book above, and because of this, I didn’t have the time to research storytelling techniques or ask anyone for help. Instead, I forced myself to write every single day, even when I was feeling vulnerable or insecure. Somehow I managed to figure everything out along the way, even though I believed I had no idea what I was doing. How Not to Travel the World was published by Summersdale. How did you come across this publisher, and did you use the services of a literary agent? 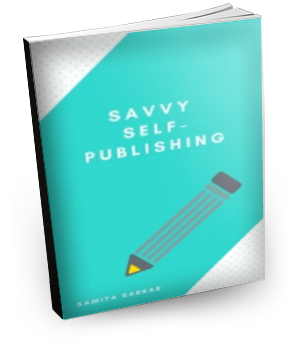 My publishing journey was a little unconventional. I made an announcement on my travel blog that I was planning on self-publishing a book about my travel misadventures, and was contacted by an interested publisher several weeks later. They’d been reading my site for several years, loved my story, and thought it would make for a great read. I was in the process of putting together a book proposal for them when Summersdale got in touch. It was a surreal experience. I had two publishers interested in working with me on my book and I hadn’t even been looking for a deal! I immediately began contacting agents, because I didn’t know how the traditional publishing process worked and knew I’d need someone to help me negotiate contracts, etc. I was thrilled to sign with Adriann Ranta of Foundry Media. What is the most creative thing that you did to market your book? Well, I had a mental breakdown several weeks before the launch and spent the next three months in bed. Unfortunately, that’s not a joke, and because of this, I didn’t market my book beyond announcing the launch on my site and sending a newsletter to my subscribers. The stress of writing and editing the book in such a short amount of time destroyed my mental health and I was too unwell to promote it. Fortunately, I have fantastic readers who picked up the slack and passionately promoted my book to everyone they knew. It was because of this that I managed to sell out the first print run within three months, and it’s sold better than I ever could have expected since. Having an engaged and committed readership is so important! Are any more books on the horizon? I don’t have plans for any right now! It’s too bad that Lauren doesn’t have any more books in the works at the moment, but if and when she does, I’ll be sure to read them. You can check out Lauren’s memoir, How Not to Travel the World, here, and her blog, Never Ending Footsteps, here.